Explore the typical East Frisian Wallheckenlandschaft by bike or on long hiking tours. Recreation and endless space can be found in the Holter Hammrich with its unique relief polder (200 ha) in which over 60 breeding bird species are. After an eventful day, you can treat yourself to delicious meals in regional restaurants. The modern ground floor apartment has a large bedroom with a comfortable double bed, a large bathroom with bathtub and shower cubicle and a separate toilet. In the living room you will find a cozy, fully equipped kitchen with microwave coffee maker, kettle, toaster, electric stove with oven and many other cooking utensils. After enjoying their delicious food at the kitchen table, you can end the day in the cozy living area with TV and a glass of wine. In fine weather you can relax on the terrace in the sun or enjoy a nice barbecue. Rest and endless space await you in the apartment Schmidt. 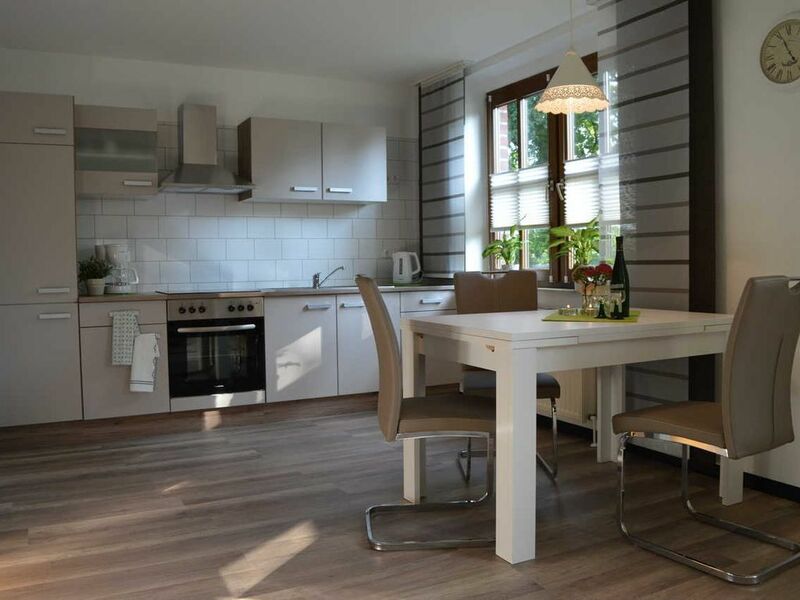 The apartment Schmidt is located in the community Rhauderfehn. The municipality Rhauderfehn is located in the Southern Ostfriesland inland. Rhauderfehn hosts a number of traditional events such as the Fehntjer Markt or the Town Hall Festival. The community is characterized by the Fehnlandschaft and the Wallheckenlandschaft. A typical East Frisian community. Tolle Ferienwohnung alles da was man braucht. Sehr nette Vermieter kommen auf jeden Fall wieder. The community Rhauderfehn is located in the southern Ostfriesland inland of East Frisia. The municipality has 10 villages, the apartment is located in the village Holte near the nature reserve Holter Hammrich.